Thomas Coleman was born 2 Jan 1901 in Mobile, AL. He met Isabel in Chicago, and she became the love of his life. I’m not sure where they married, but he took the train to Mobile to introduce his new wife to the family. Isabel was so light-skinned, she passed for white and they made her ride in the front of the train. Thomas went to the back of the train. 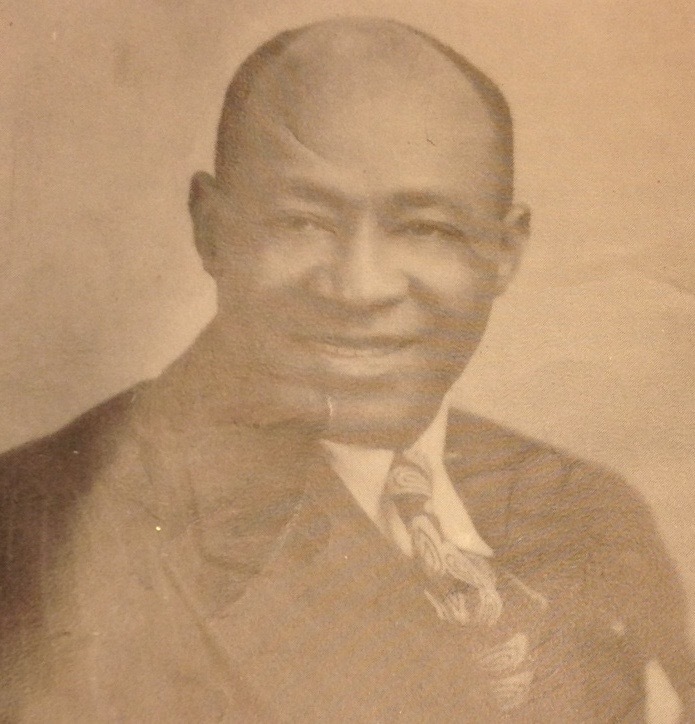 Thomas Coleman worked as a Pullman Porter on the Gulf, Mobile and Ohio (GM&O) Railroad. 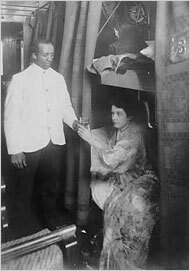 He directed guests to their rooms in the Pullman car, served drinks, cleaned, and helped people with their luggage. Library of Congress Pullman porters, known for their white jackets, played an important role in luxury train travel for a century. The A. Philip Randolph Museum, in Chicago, is dedicated to preserving the history of Pullman Porters. Check out Legacy of Pullman Porters video. Put your cursor over the video and press the play button. The ABC Newscaster, Robin Roberts, did the video interview, and it’s worth the view! 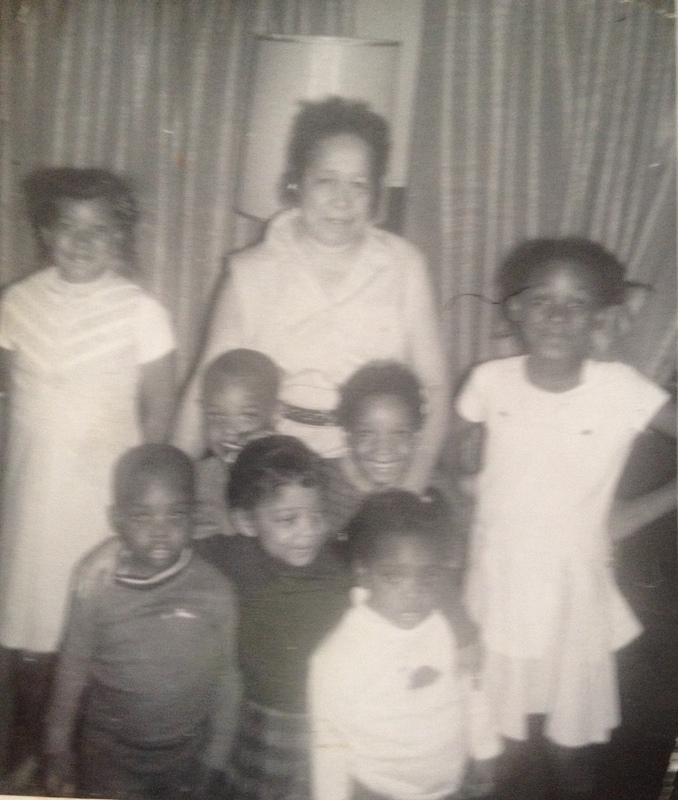 When my Mother moved to Chicago for better employment, she initially lived with Aunt Elouise, then she moved into an apartment near 68th and Stoney Island. Alice Coleman phoned her granddaughter (my Mom) to let her know that her brother, Thomas Coleman (Uncle Tommie), also lived in Chicago. Alice called Uncle Tommie and found out that she literally lived around the corner from her uncle! It was less than a block away! This was perfect because she could use a trusted family member to help keep the children. Aunt Isabel baby sat for my family for a few years. Following is a picture of Aunt Isabel with us kids. Aunt Isabel in the center. From front to back: Jerald Green, Joletta Green, Joe Green, Elaine Davis, Debra Davis and Eva Davis. I remember visiting their house. They were always lively, and very entertaining. Uncle Tommie died 26 May 1975, and Aunt Isabel died 16 September 1983, both in Chicago, IL. Thanks for not only sharing about your family, but weaving historical information with it.